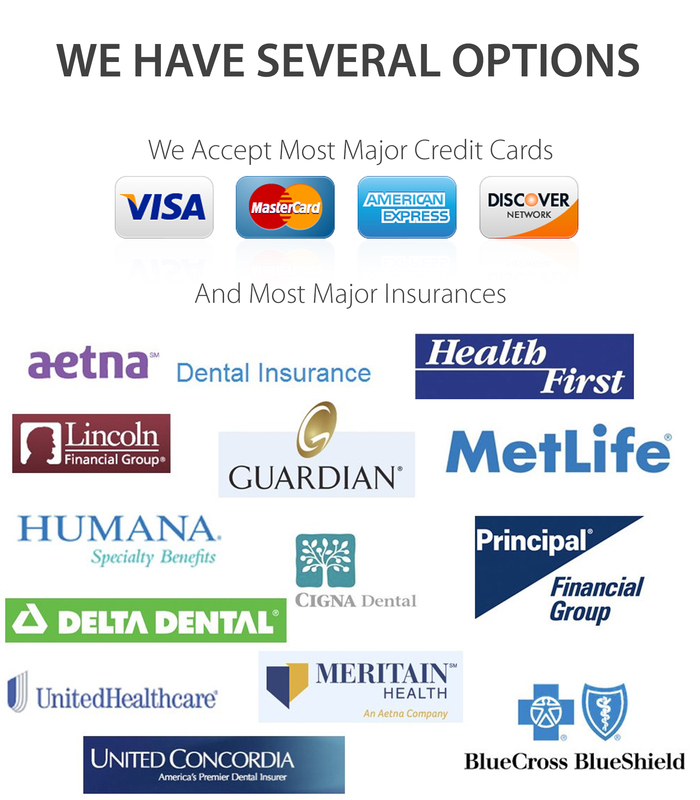 We have many payment options and also accept most dental insurance plans. In some cases, regular health insurance may also cover all or part of the costs. We accept major credit cards, and we also offer financing though the CareCredit® program. We’ll be happy to answer any insurance-related questions when you make your appointment. CareCredit® offers a full range of payment plans, so you can find one that works best for you. They offer payment plans with no interest charges if you pay your balance in full within the specified time period. For procedure fees from $1,000 and up, CareCredit® offers 24-, 36-, or 48-month plan options with low monthly payments.